I was interested, so I opened the periodical and began reading the article while I waited. 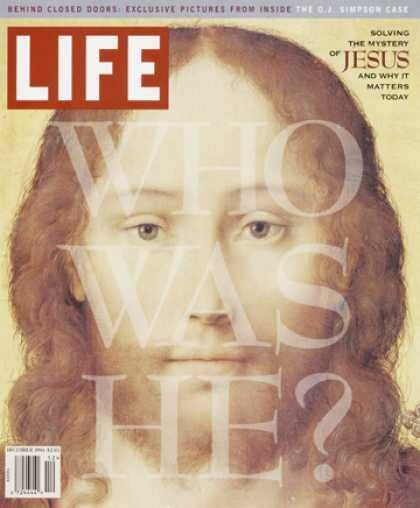 The writer had interviewed representatives from different denominations and Christian religions around the world, asking them the question “Who was Jesus Christ?” I was intrigued. The answers captured my interest. The overwhelming majority claimed he was a master teacher, a gifted philosopher, and a wonderful leader. Frankly, I was unimpressed. True, these were not the official positions of the churches or religions discussed, and I realize the author took and printed what he wanted from the conversations. 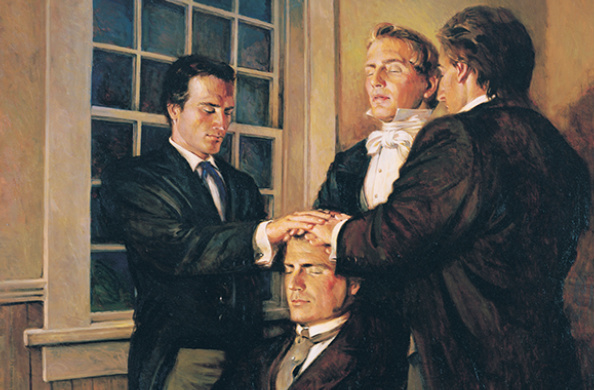 For example, he had interviewed some BYU professors for the position of The Church of Jesus Christ of Latter-day Saints. Although their answers were doctrinally correct, I felt that those descriptions, too, were lacking. This experience must have influenced me at the time, because I remember it vividly all these many years later. It wasn’t long after this incident that the Church officially released “The Living Christ.” I am grateful for the clearly articulated description of the role and mission of Jesus Christ and His continued part in our lives. Ever since I was a boy, my family has celebrated the birth of Jesus Christ at Christmas. The whole world celebrates this event in its own way. It is natural and good to acknowledge Him during the holiday season, but beyond celebrating the birth of the Savior Jesus Christ during that time of year, I believe we should acknowledge and celebrate Jesus Christ as the Savior of the World throughout our lives. We have the good fortune of continuing revelation, and we are grateful to receive His word through living prophets and a canon of scripture in testament of Him. We are blessed because of the Restoration and the fullness of the gospel, which has enabled us to recognize the impact of Christ’s mission in the pre-existence, on Earth, in our lives today, and in the world to come. Because of Jesus Christ and His role, our lives have meaning, our struggles are all surmountable, and the blessings in store for the faithful are beyond our ability to conceive. Even those blessings available to us here and now are incomprehensible, yet we can know of eternal life and everlasting happiness in the world to come. Eternal life, the greatest of all the gifts of God, is our reward for following Him. “I humbly testify and pray that we will always remember Him—in all times, all things, and all places we may be in” (Gerrit W. Gong, “Always Remember Him,” April 2016). Today, media of all types are used to further this message: Facebook, Twitter, Instagram, YouTube. My 16-year-old daughter memorized “The Living Christ” as part of a Young Women Personal Progress project. I am inspired to do it along with her. This will help me respond appropriately to the very same question. That question is “Who is Jesus Christ?” and it has been considered for thousands of years. This same question was asked even while Christ was living in Jerusalem. In fact, the Savior Himself asked this very question of his apostles: “But whom say ye that I am?” Do you remember this occasion? “At the time the Savior and his twelve Apostles were laboring along the coast of Caesarea Philippi, the Savior asked them, “Whom do men say that I the Son of man am? “And I say also unto thee, That thou art Peter, and upon this rock I will build my church; and the, gates of hell shall not prevail against it. “And I will give unto thee the keys of the kingdom of heaven: and whatsoever thou shalt bind on earth shall be bound in heaven: and whatsoever thou shalt loose on earth shall be loosed in heaven” (Matthew 16:14–19). 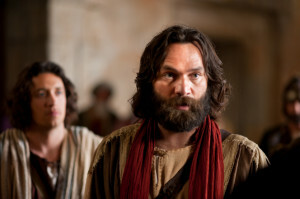 Peter’s enthusiastic response testifies that Jesus Christ is the Son of God. Jesus then declared that He would give unto Peter the keys of the kingdom. This same power exists within the Church today. Holders of the priesthood administer in the name of Jesus Christ the saving ordinances of the kingdom. Their line of authority is traceable directly back to the Savior. This line may be requested for any Melchizedek Priesthood holder living in the same household. “This holy work, as revealed through latter-day prophets, is to prepare for the glorious coming of the Son of God to reign over the earth. Nothing is more explicitly stated in all scripture than that the Son of God will come again in the glory of the Father to reward the righteous and to establish his kingdom in power, bringing in a reign of righteousness, and peace” (David B. Haight, “The Keys of the Kingdom,” October 1980). “For the Son of man shall come in the glory of his Father with his angels; and then he shall reward every man according to his works” (Matthew 16:27). We are preparing even now for that great day and can pray for its prompt arrival.